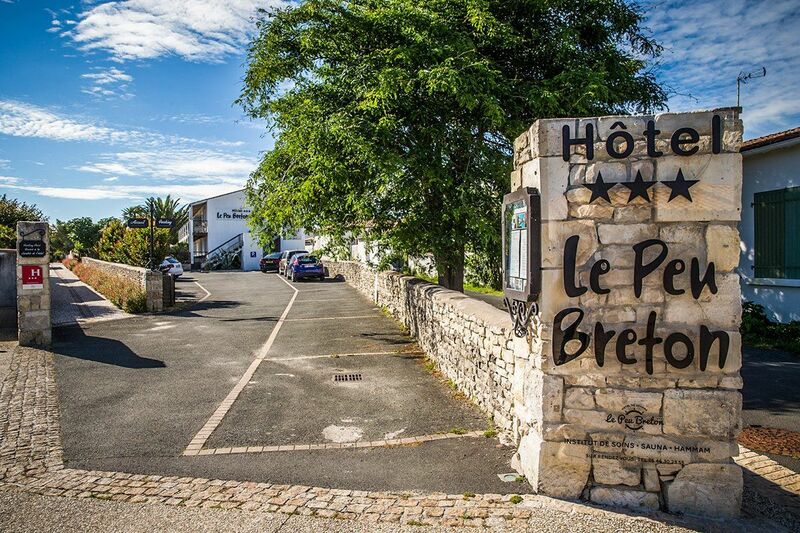 Hotel Le Peu Breton offers a range of high-quality services to make your stay as pleasant as possible. 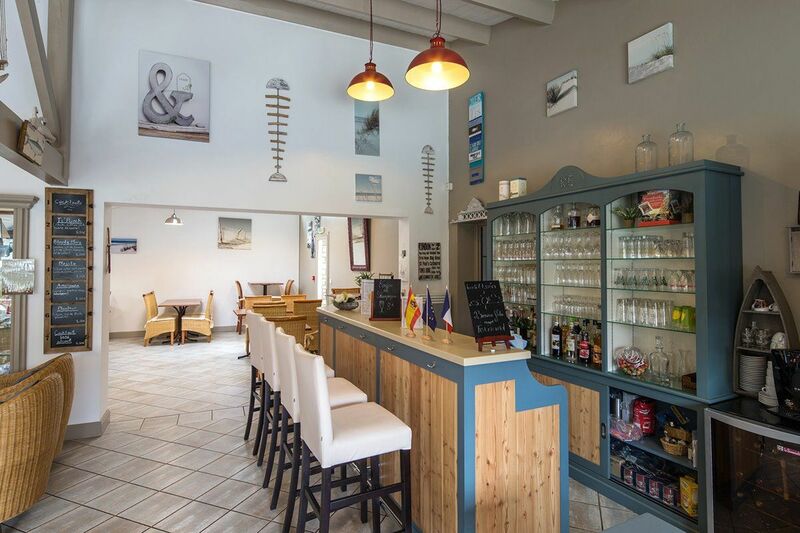 The whole team at Hotel Le Peu Breton will gladly welcome you. 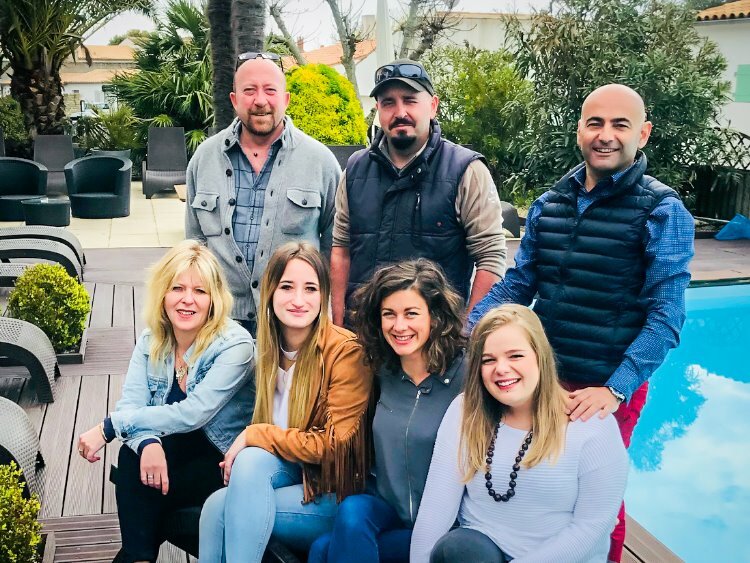 We’re keen to share with you our love of Ile de Ré and to make your stay with us a testimony to the local “good life”.Feel free to let us know your requirements to make your stay as pleasant as possible.Our reception is open from 8 am to 8 pm where we will welcome and assist you. If you’re arriving late, please tell us so that we can give you all the necessary instructions to reach your room. For your convenience, our pool is open and heated all season. It’s completely open-air and bathed in sunlight from morning to evening. It’s lined with a large teak terrace fitted out with deckchairs, coffee tables, sofas and armchairs to enjoy some down time. Bar service is provided at the pool all day. Palm trees, fragrant shrubs and colourful flowerbeds adorn the terrace. The pool has secure access. Opt for a Wellness, Sports or Foodie breakfast and pick and choose as you wish. We offer a large buffet of sweet and savoury products. You’ll be spoiled for choice with the variety of food on offer. 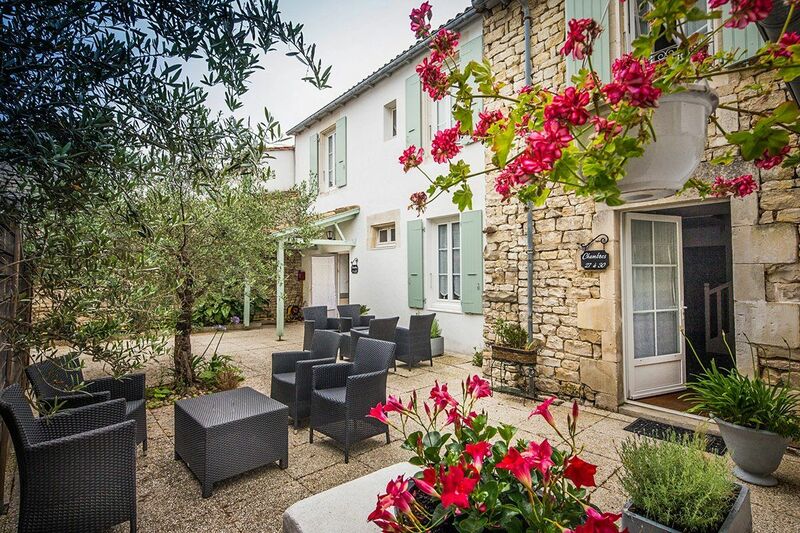 Enjoy freshly squeezed orange juice, crêpes, cereal, fresh seasonal fruit salad, eggs, cheese and cold meats. Fresh fruit, oat flakes and an assortment of dried fruits make up a healthy breakfast. 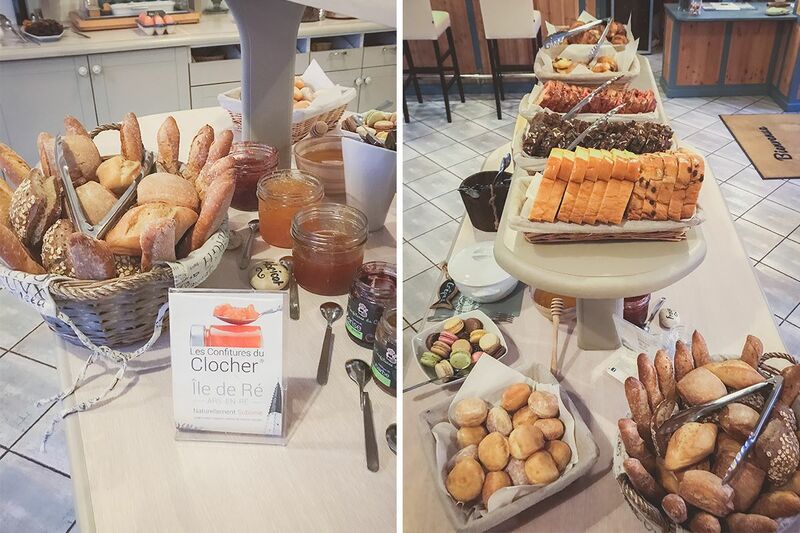 Also enjoy local jams and honey from Ile de Ré. Real foodies will find a selection of crispy rolls, pastries and brioches. Discover our assortment of world teas, too. Enjoy the friendly breakfast room or pleasantly sunny and flowered terrace for an exquisite breakfast. 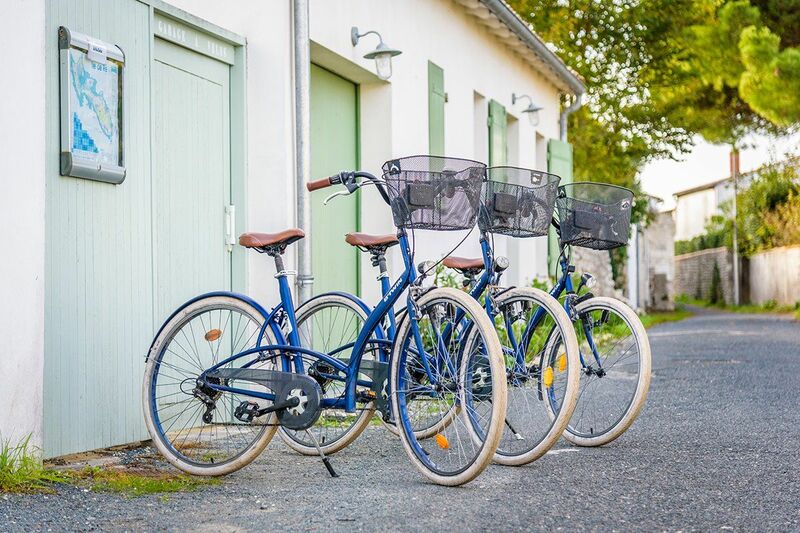 We offer men’s, women’s and children’s bikes, baby seats and trailers for you to discover Ile de Ré’s charms and wonders. Each bike is equipped with a lock and a basket. Bikes are available to hire for half a day or a whole day. Discounted rates are also available for long stays. We’ll give you a map of Ile de Ré’s bike paths so you can get the most our of your day. The bike paths crisscross the island among pine forests, vineyards, salt marshes and nature reserves, so everyone will be happy. Travelling by bike is the best way to discover the wonderful local landscapes and to be swept away by the scents of the island. 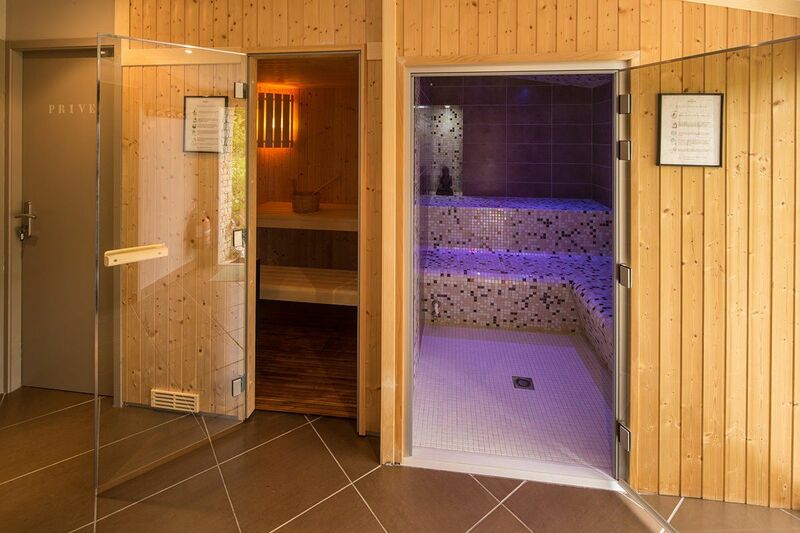 A large private sauna is available on request. Its dry heat gives you an unrivalled feeling of well-being, lightness and cleanliness. A large private hammam is available on request. Its humid heat makes you feel intensely relaxed and induces a sleepiness which aids sleep. The hammam is tiled throughout. 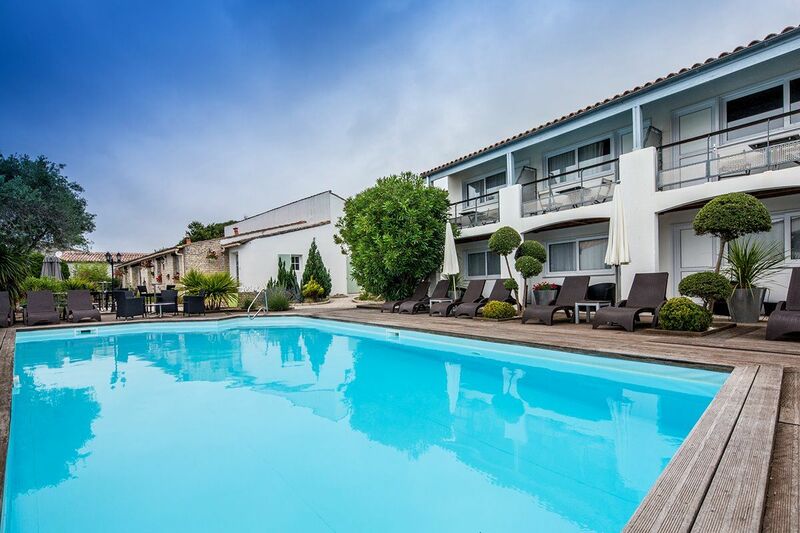 Try a homemade cocktail by the pool or explore the tastes of Ile de Ré’s wines (including Petit Sergent, Trousse-Chemise and Pineau Ilrhea among others) at the hotel bar. We offer a varied assortment of soft drinks, draught or bottled beers, wines, cocktails and spirits. Enjoy a relaxing time at the bar, on the terrace or by the pool. Treat yourself to breakfast or a cocktail on the terrace. With its paving stones and flowers, it will immerse you in a rustic atmosphere which is ideal for relaxing. All your senses will be awakened. Our fifty-year-old fig trees and olive trees are proudly enthroned over the site. Smell the scents mixed with lavender, thyme, rosemary, sage, hollyhocks, bougainvilleas, geraniums, agapanthuses, magnolia trees, hydrangeas and oleanders in a riot of colour. Our hotel has several relaxation areas. By the pool, on the teak terrace, you can lie on the loungers in chill-out mode or enjoy a cocktail on one of the sofas in the living spaces. 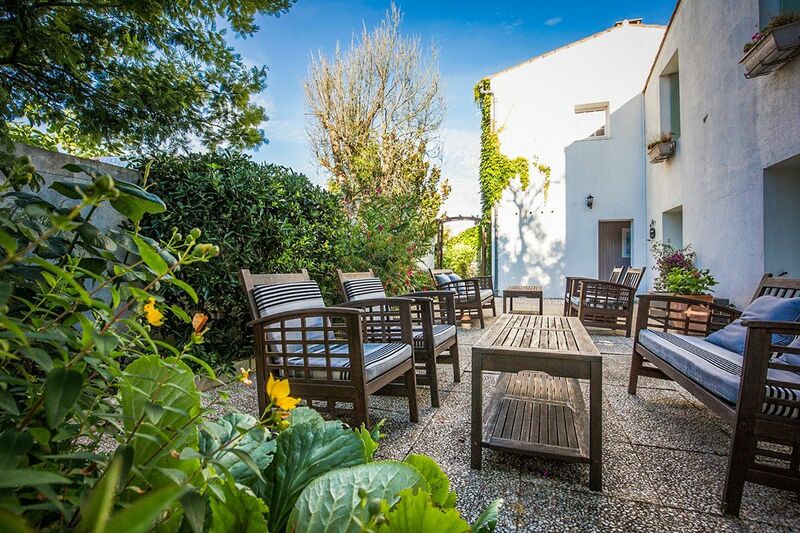 The terrace near the olive trees and lavender is a friendly place which is easy to chat in. For a cosier experience, dive into a good book on the sofas and armchairs on the indoor patios. The hotel has its own treatment rooms. 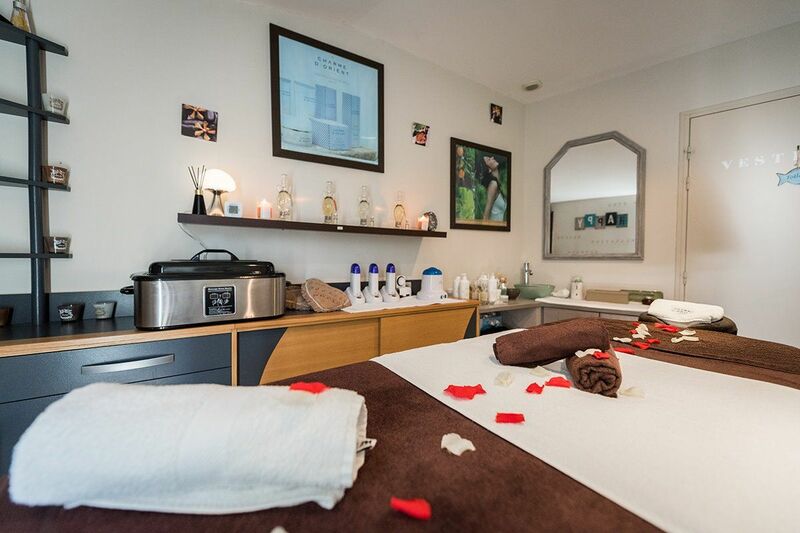 Various treatments are available on request by our beautician, from facials to sculpting, exfoliation, foot reflexology, hand and feet care, hair removal and more. We use care products of the brand Charme d’Orient. Free private parking is available at the hotel. It includes two special disabled spaces. 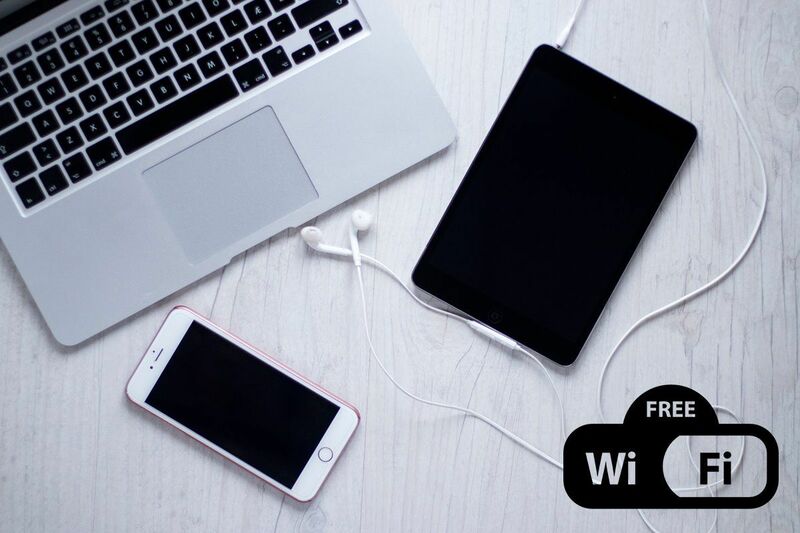 Hotel Le Peu Breton has free WiFi available in all rooms and public areas. Enjoy 24/7 internet access. 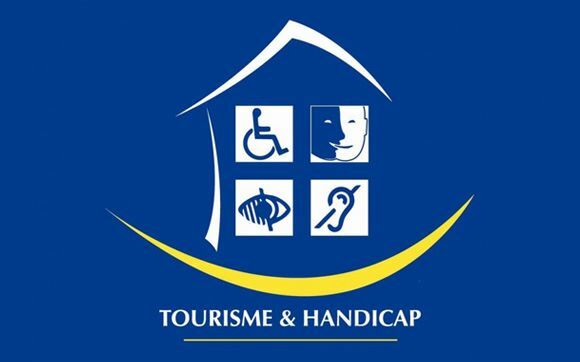 Hotel Le Peu Breton has the Tourisme & Handicap label, attesting to our firm commitment and guaranteeing our disabled guests are accommodated effectively in line with their needs. All public areas are accessible, including the entry, reception, breakfast room, terrace and wellness area. Several rooms have wheelchair access in accordance with accessibility recommendations in place (regarding turning space and grab bars etc.). Two disabled parking spaces are available.